Forged steel is a versatile medium, beautiful in it's own right. But we also love to see the depths of color and texture created when blacksmiths collaborate with ceramic and glass artists. Here's a round-up of a few of our favorite examples. Forged steel by our own Kyle Lucia, glass discs by Jude Schlotzhauer. 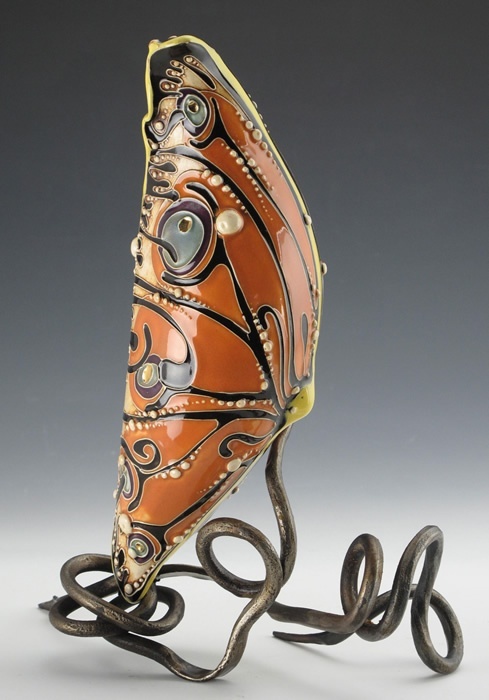 Ceramic by Carol Long, forged steel by Dustin Sypher. "Animal Spine: Life and Death", approximately 11"h x 52"w x 9"d. Glass spheres by Mark Matthews, forged steel by Joel Sanderson. "Ikebana #11", 22"h x 16"w x 10"d. Cast crystal and forged steel by Brian Russell. 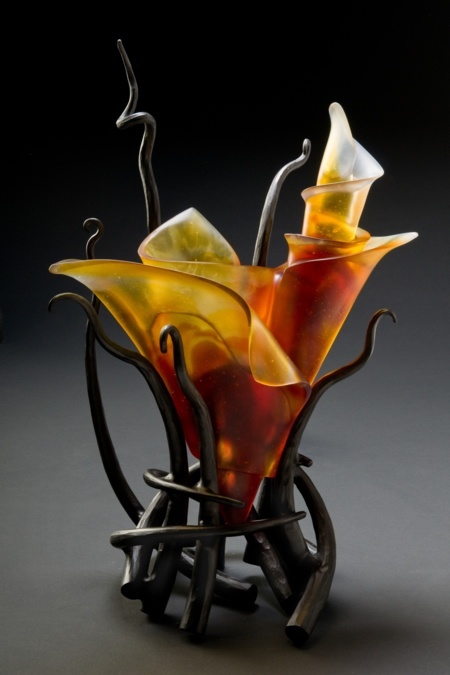 Russell is unique in his ability to combine lost wax glass casting with forged and fabricated metal in one studio. 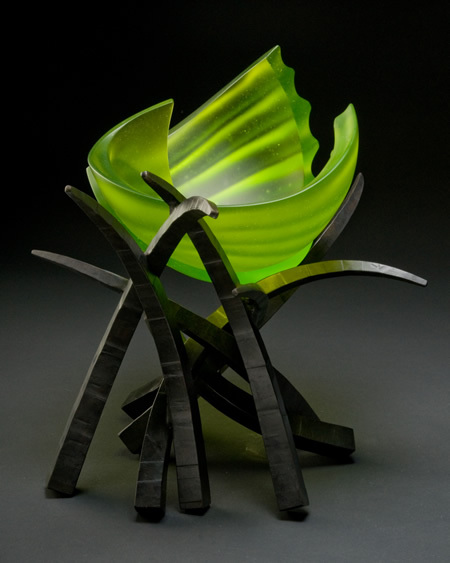 "Hemisphere: Fantasty", 14"h x 20"w x 12"d. Cast glass and forged steel by Brian Russell.